I love both. I could sloosh paint around all day to watch the unexpected combinations emerge. The site Colourlovers.com enables you to play with hues, shades, tints and pattens like never before. This ain't the Sherwin-Williams paint store, this is for designers and mashup artists interested in customizing backgrounds, illustration palettes and funky patterns for print and the web. 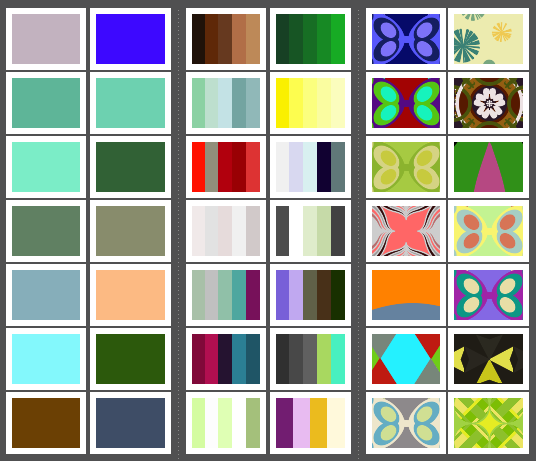 After generating your custom swatch, pattern or palettes, you can download as files or import to Illustrator, Photoshop, Gimp and more. It also follows the emergent standards of social networking allowing users to form communities, share creations, comment and vote on their favs.